And best of all free airport-wide WiFi that really works. 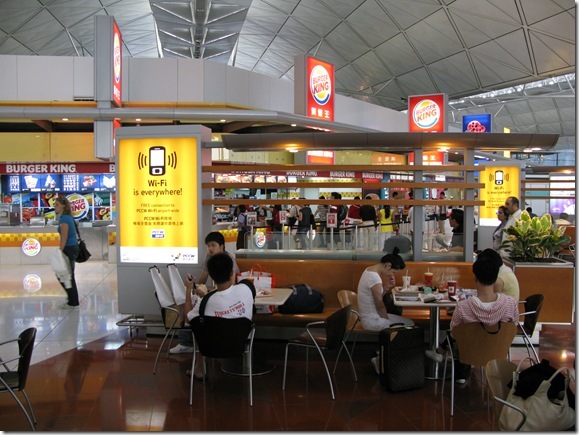 Bangkok and London could to take a page from HK's book of good service. With an airport like this - going to the airport is fun - you can shop, get some work done, relax and then be on your way. Just me and my ThinkPad T61p after a great weekend in Hong Kong.